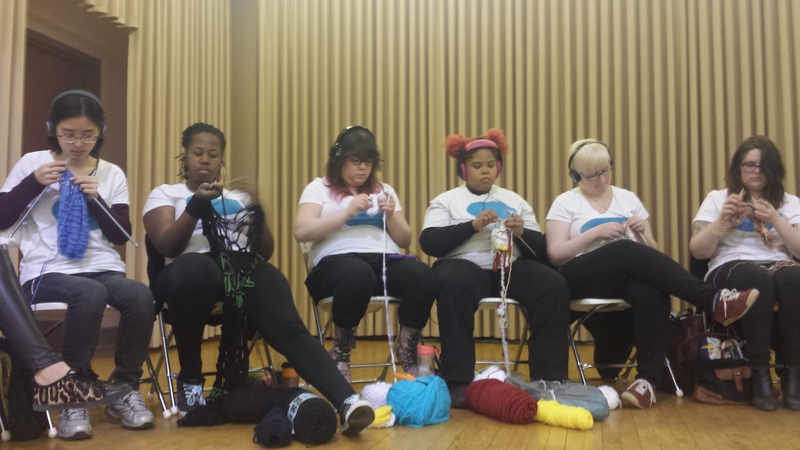 This morning I went to YarnCon, held in the Journeymen’s Plumber’s Hall in Chicago, a nice space indeed. There were more vendors than last year, lots to choose from. Last year I went with Lynette on Sunday and we were one of the first 50 people, so got a great goody bag. This year I arrived 10 minutes before the door opened, and there were over a 100 people already in line. A couple of friends got there early and received the goody bag (to the first 50 people only), but it was not as impressive as last years. There was knitting performance art, not really sure that I “got” it, Mimi shared it on Instagram, as she felt the world needed to see this. My photos are not the best, as they were done with my phone. I met Martha at the event, new to Chicago, she has been following my blog! 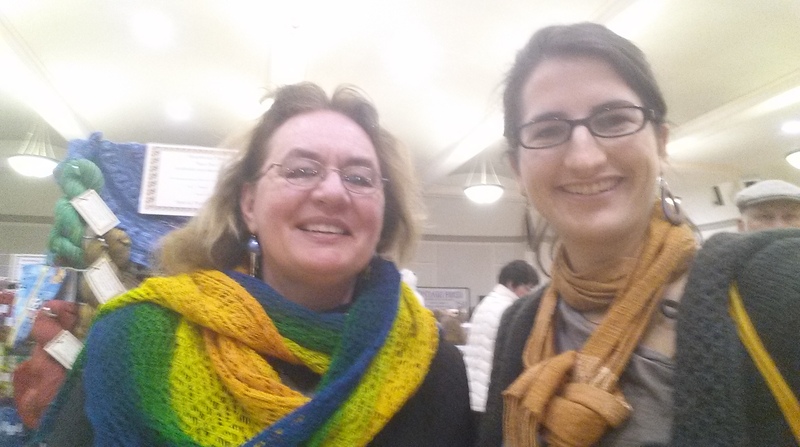 It was fun to meet her and introduce her to some of my knitting and spinning friends. My first “selfie”, don’t seem to ever like photos of myself. I had a photo of her great boot toppers, but it did not turn out well. Great to meet you Martha! And, some sock yarn for Dan. 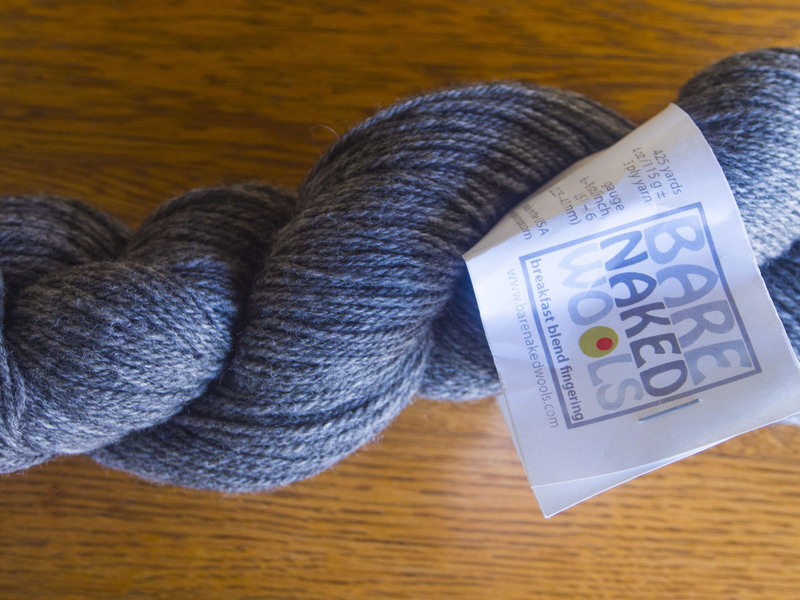 This is from Anne Hanson’s new line, all American sourced, Bare Naked Wools. The natural colors were so beautiful, this one is called Breakfast Blend. It is wool, nylon and alpaca. He loved the yarn, and I can’t wait to try it. There is still time to check out the vendors and amazing selections tomorrow, don’t let my restraint stop you from attending, there is some really beautiful yarn to score! 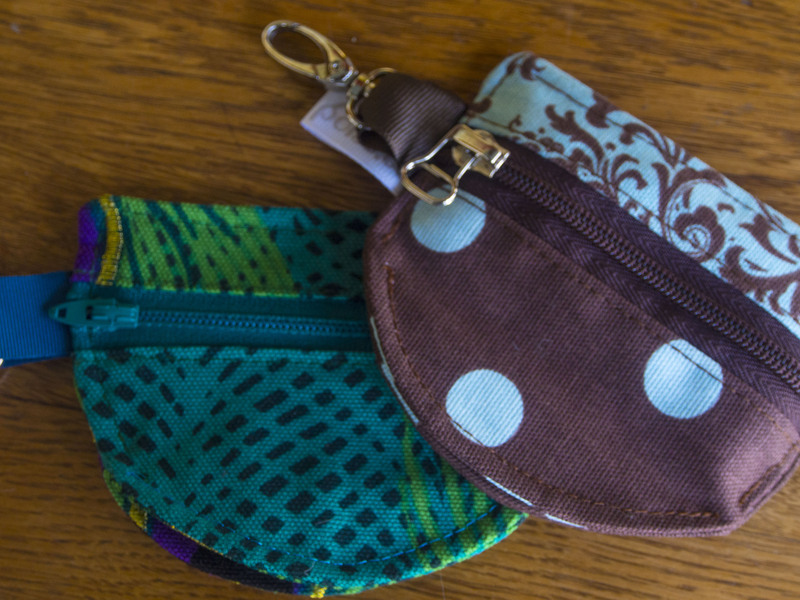 Love the little bags. 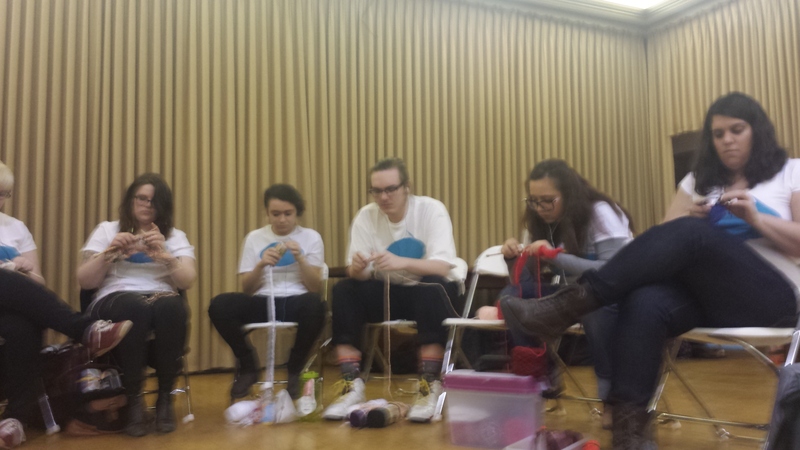 I think the group was knitting and meditating at the same time, reflecting on their lives. Fun seeing you at YC and meeting Martha! I totally went back and got the yarn buddy. I’m so weak. Good to meet you also. We had a nice spinning group yesterday, hope you can join us soon. Cute picture! I can’t wait to get my cast off so i can knit again. Cast?!!! I told Dan and he said that he had seen you at church, he thought I already knew. 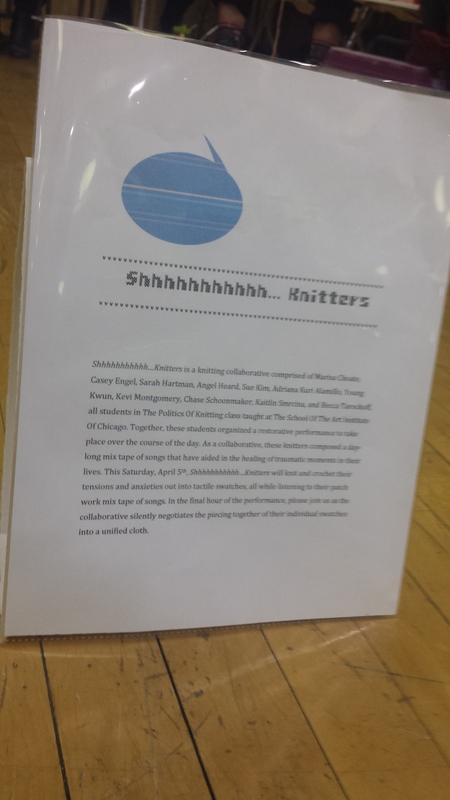 Not being able to knit would be pure torture. Hope you recover soon.